Removing Life-Support – Who’s decision is it? The Supreme Court ruled on 29th July that families and doctors of patients in a permanent vegetative state will no longer need legal permission to end their treatment. 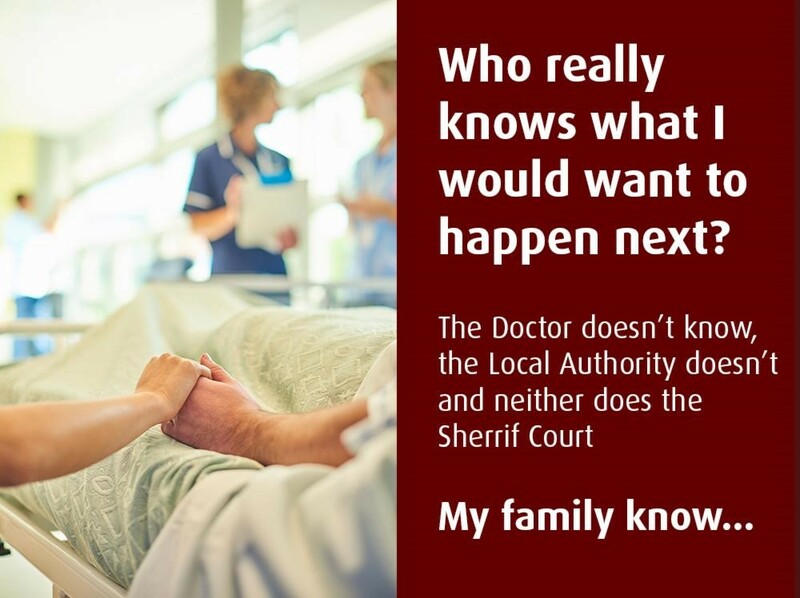 The judge ruled that food and liquid may be withheld by medical staff to let patients die without applying to the Court of Protection if both the family and two doctors are in agreement to end the life sustaining care. Before the ruling, families and doctors needed to get permission from the Court of Protection to remove feeding tubes from patients in a persistent vegetative state. This was a time-consuming process, which could take months or even years to be resolved, as well as being very expensive. 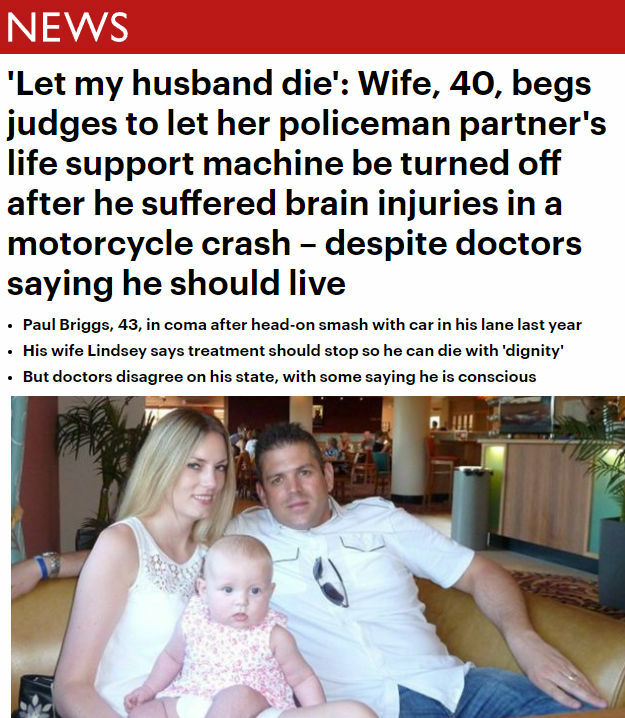 The Supreme Court heard how 52-year-old Mr Y, who suffered severe brain damage following a heart attack, was left unresponsive with doctors giving little chance of recovery. Mr Y was unable to make further decisions on his well being and had not left any written instructions as to what should happen to him in the case of sudden illness. Mr Y’s family and his medical team agreed that it would not be to his benefit to receive any further treatment and asked the High Court if his feeding tube could be removed to allow him to die without legal repercussions. The High Court granted that declaration, but the decision was appealed by Mr Y’s solicitor. Mr Y died but, because of the importance of issues raised by his case, the appeal went ahead, and the High Court’s decision was upheld. This case has divided opinion. On one side people believe it is more humane for families to decide what happens to their loved ones. The other side see it as a removal of a layer of protection, and consequently a threat, for vulnerable people. 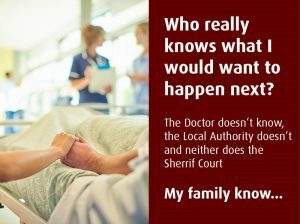 Many families have been in the press fighting for the withdrawal of life sustaining care because they knew that their loved one would not have wanted to be kept alive. For them, having to go to court to ask for their loved one’s wishes to be followed through was extremely difficult and stressful at an already very difficult time. This case highlights the need to make our wishes clear regarding life sustaining treatment while we still can. It is undoubtedly an uncomfortable conversation to have but worth telling your close family, so they know for sure what you would want if you were unable to communicate your wishes. Best practice must still be to have a Lasting Power of Attorney (LPA) in place. The importance of an LPA should not be underestimated. 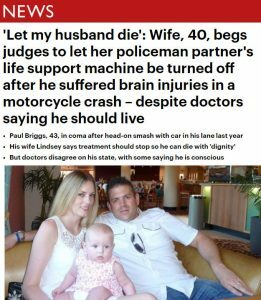 If Mr Y had one in place, which gave his attorneys authority to consent or refuse life sustaining treatment, the matter would have been concluded much earlier. Lasting Powers of Attorney (LPA) let you choose who should make decisions on your behalf if you lose the mental capacity to do so yourself. Attorneys under a Health and Welfare LPA can make decisions relating to where you live, what you eat, what medical treatment you should or shouldn’t receive and, ultimately life sustaining treatment. You can include specific wishes on these points in your LPA. The greatest safeguards of all is to appoint people you trust completely to make these decisions on your behalf. By making a Health and Welfare LPA you will add much needed clarity to the situation at a time when your family will have to make very difficult decisions. You will have the peace of mind of knowing that you did what you could to make your wishes known to help your loved ones. There is also a Property and Financial Affairs LPA, under which your attorneys can manage your financial affairs. 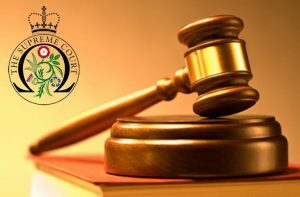 LPA’s are a great benefit to the person making them but they also make it easier for your loved ones to manage our affairs without the constant need, and expense, of going to court each time. Do it now and be prepared for any potential eventuality regardless of your age or current health. Remember, Mr Y was only 52 years old.